“The Auction Committee has been working hard, and is looking for new people to join in on the planning of this really fun event! “You let us know how you would like to support us and we will find a task for you to do. Our biggest need is for donations and sponsors for the Auction, donations large and small are welcome. 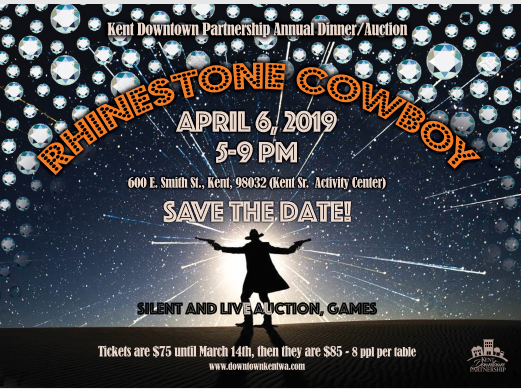 “By becoming a sponsor your business will get some great exposure, while supporting the Kent Downtown Partnership to help beautify and restore our Downtown. “Contact Jodi or Barb for details, [email protected] or call 253-813-6976.